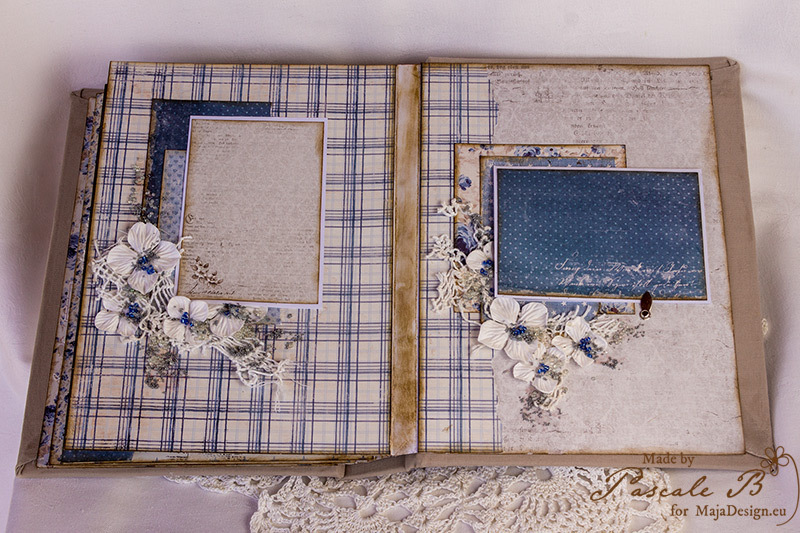 As promise here is the inside of the By the Sea album. 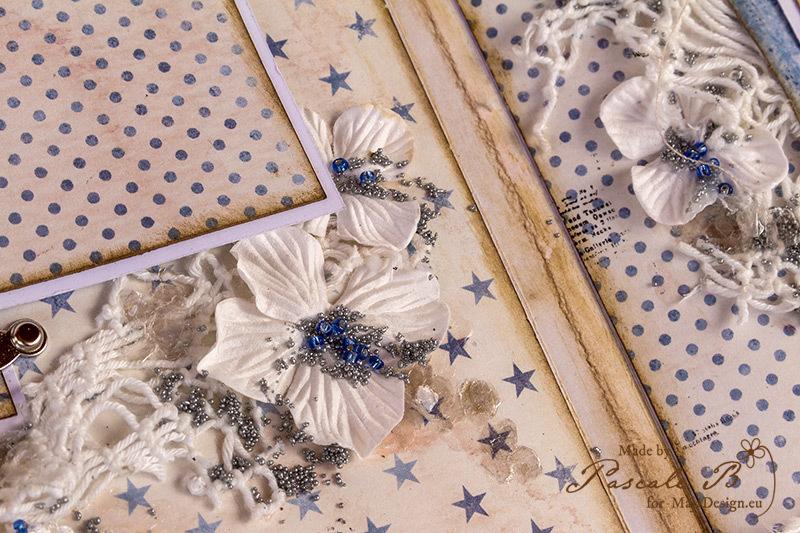 In fact I mixed the blue and beige papers from two collections : Summertime and Vintage Baby. I added several pieces of paper to each page making sure that there was always a reminder on the main paper to the other page. It helps to add some harmony to the project. 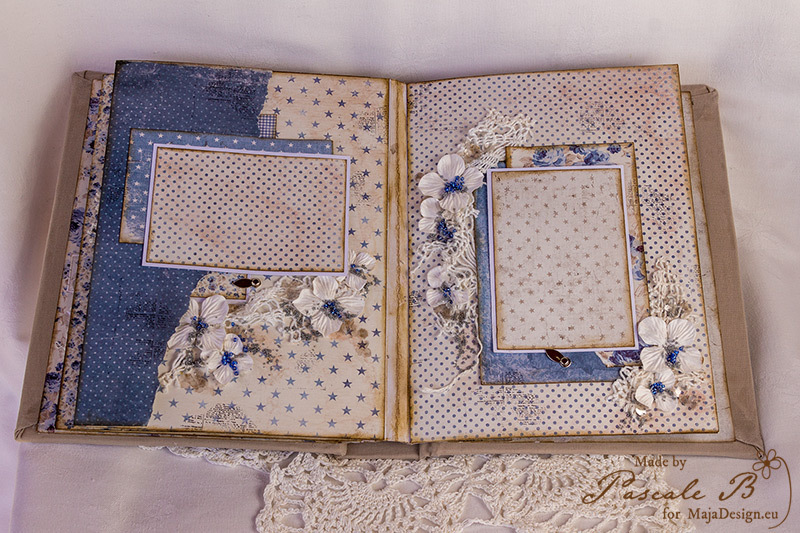 To add some interest to each page I added some bits of doily, a few flowers, some glass beads as well as micro beads. 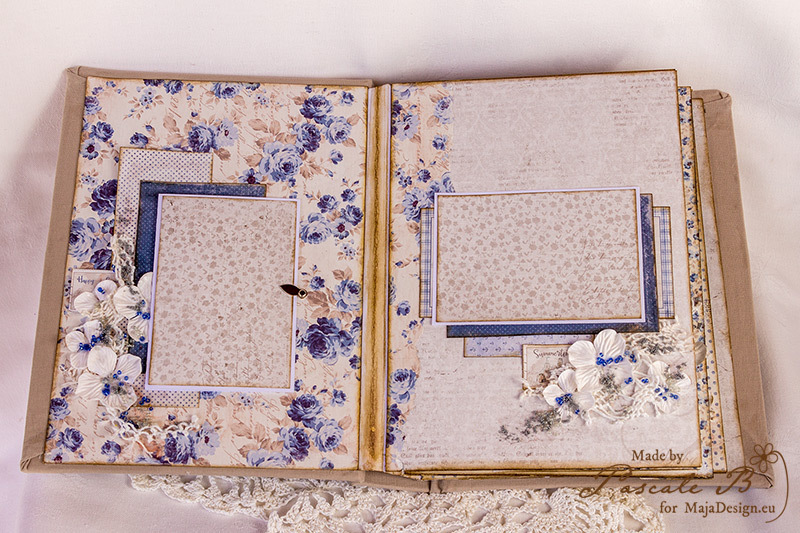 Well well well, this looks fabulous and just as perfect on the inside as it was on the outside. What a fabulous album this has turned out to be, and whoever gets this is certainly in for a real treat. 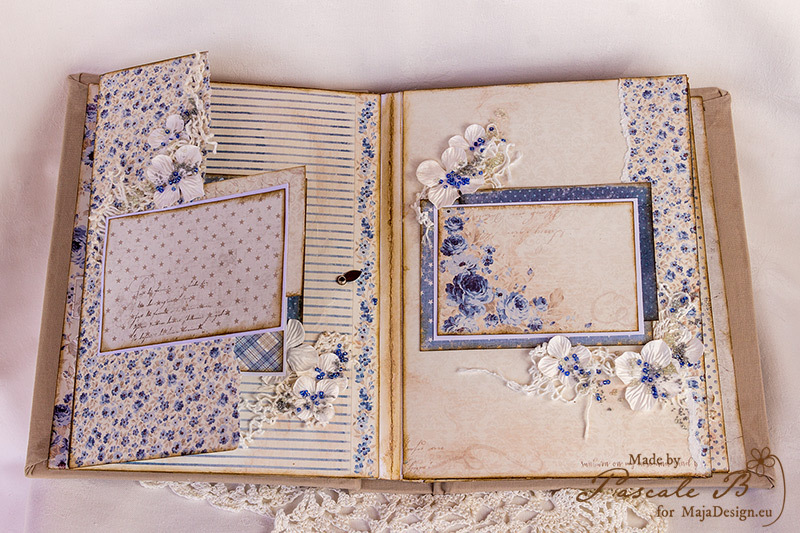 These papers are totally amazing and looks even better, when they´re used like this and compliment each other sooo well. Gorgeous work once again. Fantastic album. 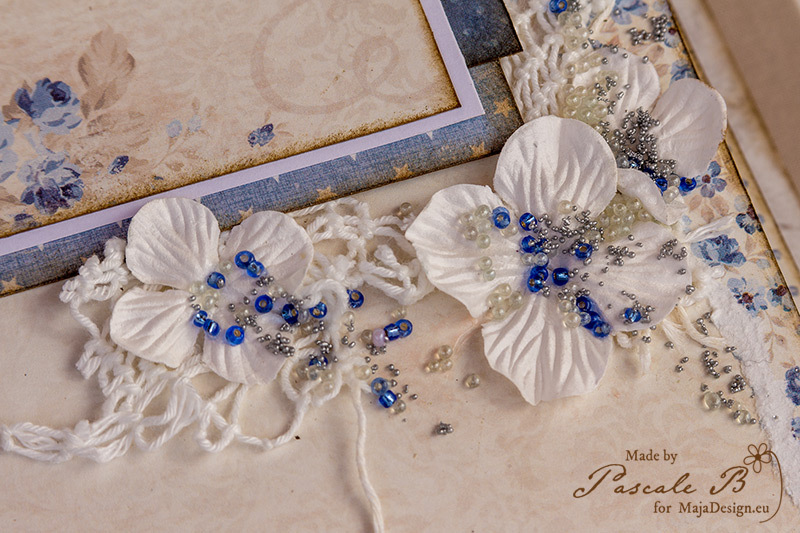 Love the way you have added the beads and the flowers together with the layers of paper. Gorgeous album. Fantastic DP in combination with flowers. Pears are the final spot.